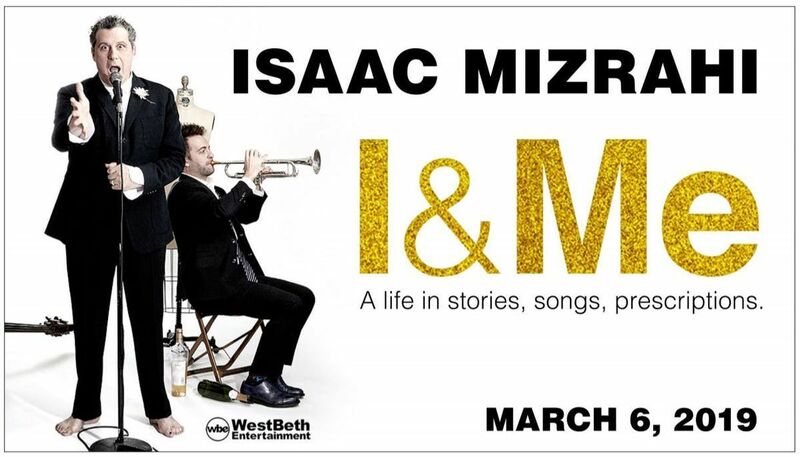 ISAAC MIZRAHIFacebook | Instagram | TwitterAbout the Show:Doors 7:00pm // Show 8:00pmTickets on sale Friday, January 25 at 10amAward Winning Fashion Icon/Designer, Storyteller, Author, Singer & Talk Show Host Isaac Mizrahi's New Show I&Me.I&Me is a collage of Isaac's creative talents -- stories, songs and even a regift segment. 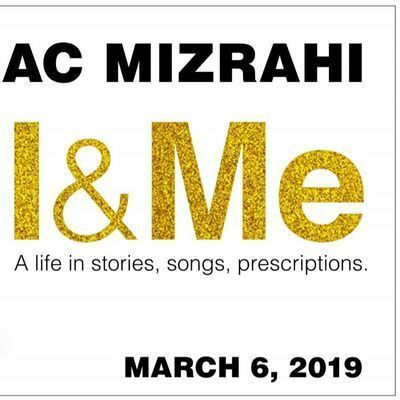 This is Mizrahi’s next chapter in his recent life as an entertainer for which the New York Times called him a “founding father of Alt Cabaret.”I&Me is a fun, casual look at life through his eyes, from growing up gay in a small Jewish community in Brooklyn, to scaling the heights of the fashion world! I&Me also features the dazzling sounds of the Ben Waltzer Jazz quartet.